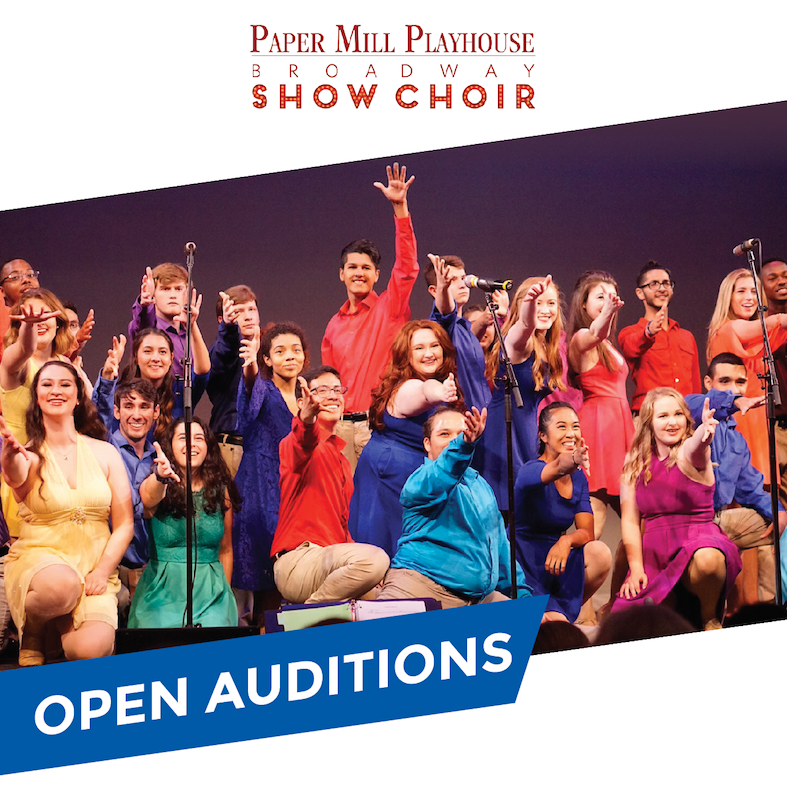 The Paper Mill Playhouse Broadway Show Choir is a tuition-free, audition-based performance show choir that stems from Paper Mill Playhouse’s award-winning arts education and outreach programs. The choir consists of 60 singer/dancers between the ages of 15–22 and acts as ambassadors to the theater with an array of performance opportunities throughout the community and beyond. Students selected to be a part of this talented group will have to opportunity to fine-tune their craft with free, intensive instruction that includes voice and dance training. WHEN: Sunday, Oct 14; Monday, Oct 15; Tuesday, Oct 16 by appointment only. Callback and makeup auditions will be held on Sunday, Oct 21.